If you would like to become an NRPM partner please email Rachel Reynolds at prevention@1800runaway.org with your agency and contact information to be added to our list of NRPM 2018 supporters. This year’s theme is “Shine a Light”. NRPM is not only shining a light on the issues runaway and homeless youth (RHY) face every day, but also shines a light on the resources available to youth in crisis and those experiencing homelessness. Below is a list of National Events for you and your communities to participate in throughout November. 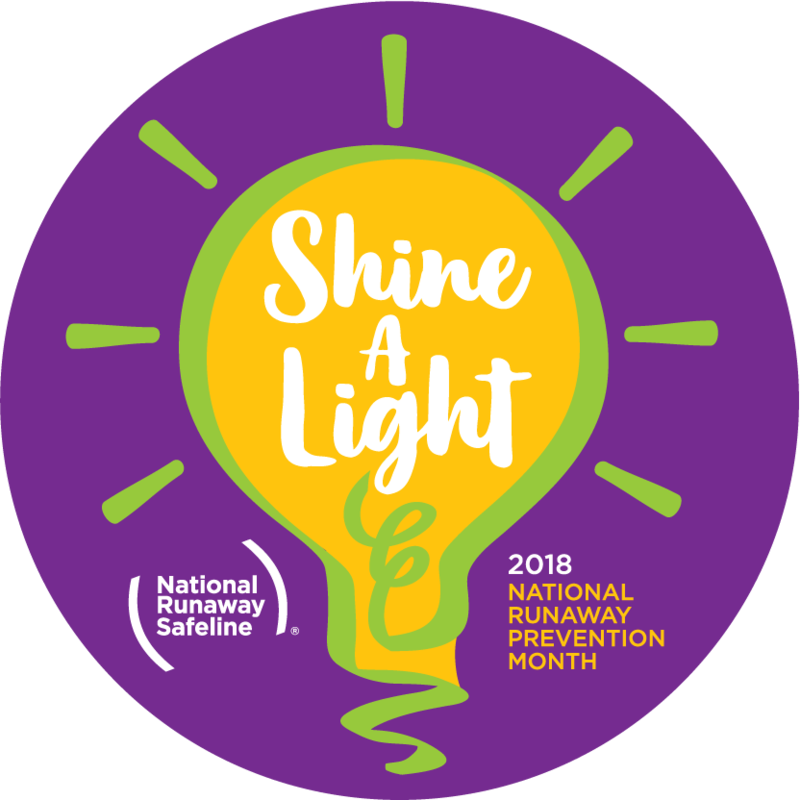 The kickoff for NRPM will allow you to add a “Shine A Light” filter to your Facebook profile picture so you can show your support of runaway and homeless youth for the entire month of November. This is a fun and easy way for you to get involved and raise awareness for NRPM. Wear green and post your pictures on social media using the hashtag #NRPM2018. Youth service agencies, community groups, and individuals across the country host candlelight vigils to “shine a light” on the issues and show solidarity with youth in crisis. NRS will have current runaway and homeless youth statistics available for individuals and organizations to share on social media to raise awareness about RHY issues. Share with your networks using the hashtag #NRPM2018. Follow us on Facebook, Twitter, and Instagram ahead of time. Join the National Runaway Safeline and our national partners for a live Twitter Chat to discuss runaway and homeless youth issues and how everyone can play a role in ending youth homelessness. Follow the discussion on Twitter with the hashtag #NRPMChat and follow NRS @1800RUNAWAY. Log into Twitter on Thursday, November 29 between 3:00 to 4:00 PM EDT. Type #NRPMChat into the search bar and select “latest” from the options that appear above the search results. Respond to questions posted by @1800RUNAWAY, use the #NRPMChat hashtag and preface your answer with “A” + the question number (i.e. “A1: I think…”). CDS Family & Behavioral Health Services, Inc.
We are still accepting partners for NRPM! E-mail Rachel Reynolds at prevention@1800RUNAWAY.org with your agency, contact information, and a signed partner letter (click here to download) to be added to our list of NRPM 2018 supporters. In October 2002, President Bush hosted the landmark White House Conference on Exploited and Runaway Children, where leaders from across the country convened to discuss issues and challenges related to the runaway and homeless youth crisis. What once was known as National Runaway Prevention Week was expanded into a month-long prevention and awareness campaign. 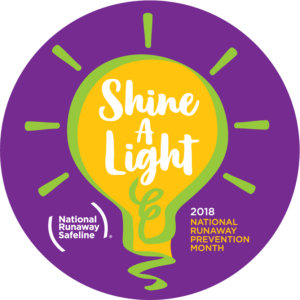 Over the years, members of Congress have taken steps to commemorate National Runaway Prevention Month (NRPM); supporting and recognizing its goals and ideals by introducing both House and Senate Resolutions. Proud sponsors of NRPM resolutions have included Rep. Judy Biggert (R-IL), Rep. Ruben Hinojosa (D-TX), Rep. Jon Porter (R-NV), Rep. Steve Israel (D-NY), Sen. Patty Murray (D-WA), Sen. Susan Collins (R- ME), Sen. Orrin Hatch (R- UT), Sen. Richard Shelby (R-AL) and Sen. Blanche Lincoln (D-AK).